A hunter with a throwing board lashed to his kayak. 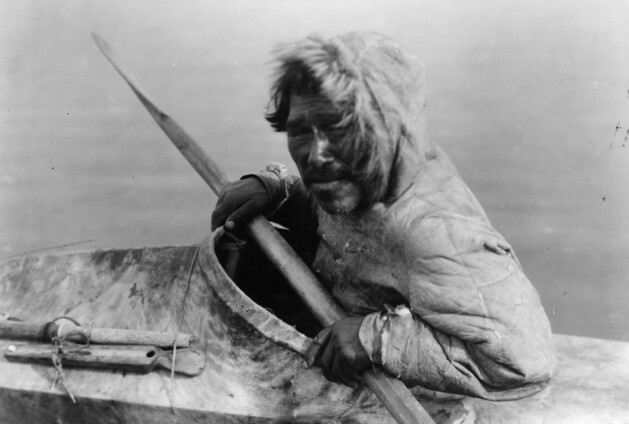 Noatak, circa 1927. Photo by Edward S. Curtis, courtesy of the Library of Congress, 107282.